I still remember the shock I felt when I was about half way through Burke’s Reflections on the Revolution in France. I was spending an undergraduate summer meandering slowly from Chicago to New Orleans when, in the middle of a passage about something else, I came across a glancing reference to France’s “captive king”. Stunned, I put the paperback down and stared round-eyed at my fellow Greyhound passengers. Until that moment, it had not properly hit me that the entire book, the most penetrating denunciation of revolutionary excess ever composed, had been written before the Terror started. As a piece of political prophecy, it stands unsurpassed. In the weakness of one kind of authority, and in the fluctuation of all, the officers of an army will remain for some time mutinous and full of faction, until some popular general, who understands the art of conciliating the soldiery, and who possesses the true spirit of command, shall draw the eyes of all men upon himself. Armies will obey him on his personal account. The moment in which that event shall happen, the person who commands the army is master of your whole republic. There are never any prizes in politics for being right too early. Burke stood apart, an ascetic soothsayer, a lonely vate, descrying a future invisible to his contemporaries. He was right about America, right about Ireland, right about India and, outstandingly, right about France. As is usually the way, his peers never properly forgave him. We may honour Burke as the first and greatest of those politicians who put ideas before preferment: the patron saint of all the Enoch Powells, so to speak. For three decades, Burke was the most gifted and eloquent MP in the Commons; yet he spent less than two years in government – resigning his junior ministerial post, typically, on a point of fairly minor principle. We might venerate him, too, as one of the finest orators and pamphleteers of any age. If you think it odd that, as a teenager, I was reading Burke for pleasure on a Greyhound bus, I can only assume that you haven’t come across his prose. He is one of that tiny number of writers, along with Macaulay and Orwell, whose style pulls you along pretty well regardless of what they are talking about. 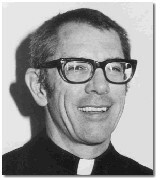 All this, though, is to miss the real significance of Burke. 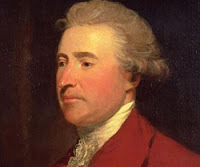 He was the first modern conservative thinker, and one of the most penetrating and complete political philosophers to have written in English. It is this aspect of the great Irishman that captivates Jesse Norman, his brilliant biographer – and incidentally, the Conservative MP for Hereford. 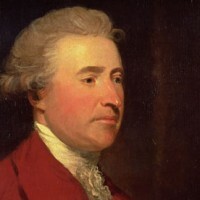 It is somewhat surprising, then, to find that this enormous threat brought out Burke’s most urgent defense of an aspect of civilization as trivial as “manners.” Of course, the very fact that we consider manners “trivial” was all part of the problem from the start, as far as Burke was concerned, and he felt driven to state his case unambiguously in his First Letter on a Regicide Peace (1796):“Manners are of more importance than laws. Upon them, in a great measure, the laws depend.” How can this apparent inversion of common sense be justified? Manners are clearly not the same as laws. They are generally unwritten (unless we are talking about ritual), and they lack the regular, codified sanctions that support institutes and decrees. However, they have a similar function: in our small social communities and informal relationships they lay down expectations of behavior that facilitate the smooth-running and therefore expedite the purpose of these various bodies from the nuclear family to the shopping mall. These very circumstances which make sense of our manners mean that they cannot be constituted and implemented like laws and they should not; but we commit a serious mistake if we allow the institutionalized power of the latter to diminish our respect for the former. It is the very superficial weakness of manners that actually constitutes their crucial importance in our lives. There are two further points of definition to note here. First, Burke points out, manners are always with us and, in their nature, they are quickly adaptable to changing circumstances in a way that written laws can never be, however firm or enthusiastic the backing for those laws might be. The very strength of manners lies in the fact that they are unwritten: they work “by a constant, steady, uniform, insensible operation, like that of the air we breathe in.” Secondly, and consequentially, they are in all respects prior to laws in our consciousness and understanding. They precede the rational in their operation: they inform and prepare us: before there is any possibility of consent or contract to “legitimise” our relationships, they instruct us in and incline us towards our duties and responsibilities. We can see that they are nurtured by, and that they themselves reinforce, those very associations to which we are committed by circumstances that exist before and above any voluntary contract of mutual self-interest. The “origin of all relations, and consequently the first element of all duties” is marriage, and the family, of course, the first of all such associations. Burke wishes us to understand that pre-contractual associations are not primitive forms of living to be superseded by an enlightened, social man when the time comes. They are the schools of behavior and values without which man will never become properly enlightened, and in the absence of which more “advanced” contractual agreements will flounder. They are supremely more important sources of education than the most liberal courses in citizenship, and it is manners that teach us their value and authority. They have a further, most important function, too. Manners preserve the vibrancy of local associations by drawing us-almost instinctively- into the uncalculated exercise of responsibilities, by engendering a respect for our surroundings and our neighbors, and by giving us all some practical, local experience in the trusteeship of authority. In so doing, manners inform us of the proper scope of the powers to be granted to the state, and protect our inherited liberties and our possessions from the largely well-meaning but increasingly insistent encroachments of central government. They can achieve this vital purpose only because they derive their shape from the moral values that underpin society, and that are rooted in our as social beings. 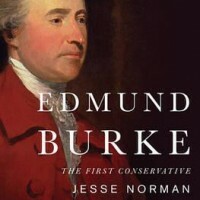 “According to their quality,” Burke argues, “they aid morals, they supply them, or they totally destroy them.” These values have been imposed from above, by government education or propaganda, and essential that manners are left free reveal them in the wisdom of succeeding generations, in the form of customs, traditions, religious tenets, and the of ordinary people as they go about their common and daily business. They must not become subject to manipulation by the state, nor must they be confounded with laws, because if this happens they will become unable to fulfill that purpose of restraining the potential abuse of power by our governors. Manners are the prerogative of our own pre-contractual associations, the family and the community, which the state should serve, and which should guard jealously as guarantees our diversity and independence.